I often get asked “how in the heck do you combine your faith (or spirituality) with your career — Isn’t that unprofessional? My opinion is no it’s not unprofessional when you know how and why you are doing it. You have to be professional and graceful, but that isn’t the point. The bigger point is: are you willing? We get so caught up in being “PC” and professional that we lose our heart and spirit sometimes, right? It’s a big conversation, but what I know for myself is that it has been a journey for me over the last 14 years to figure out. I’ve been a Christian since I was 17 and an entrepreneur since I was 24, and I always “knew” I wanted those two roles to impact each other. However, it took me years to ‘find the line’ and how to make it real in my life. As an entrepreneur, you don’t only have the power to attain and share financial freedom, but also to make an impact spiritually for your faith. 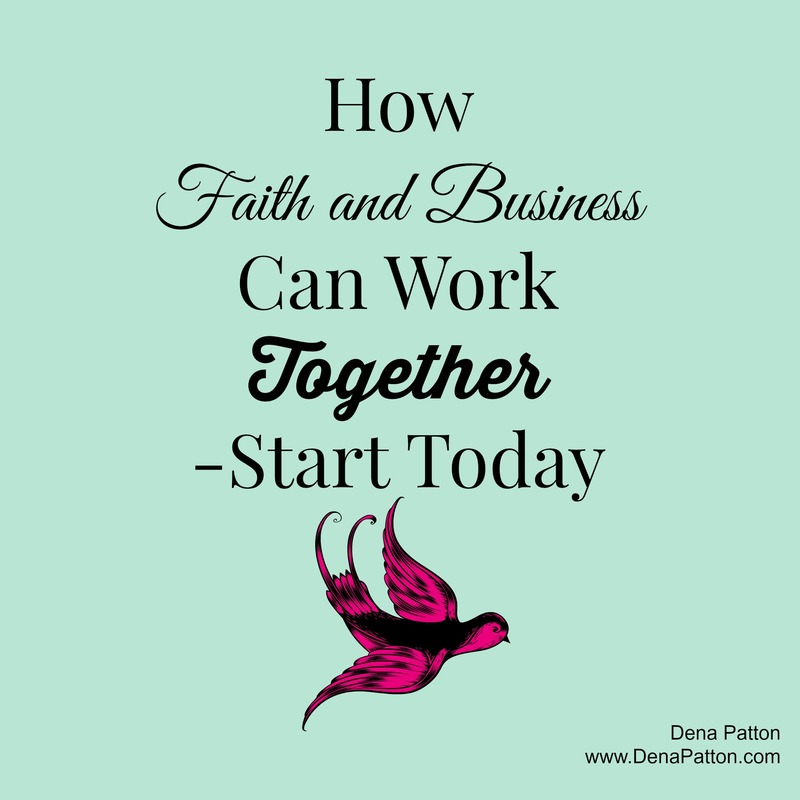 Once I started to see my business as a ‘delivery platform’ not only of my wisdom, education, inspiration, experience and expertise, but for my faith too, it then became a game changer! I saw it as an opportunity to bless others, not just a J.O.B. or something to make a paycheck at. 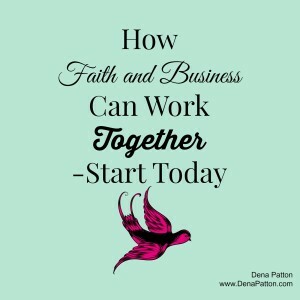 Really it doesn’t matter what your “job” or business is – it could be a car repair shop, a pool service, a mom at home, a blogger, a consultant, a painter, a designer or a personal trainer – what matters is you see your business/job/role as a way to bless others through your own faith and spirit. It just depends on your ability to have the courage to do so and how you want it to show up in your career.Many of my clients work with me so I can help them: build, market and systematize their business, but they also come to me because they want MORE impact, MORE meaning, MORE spirit to what they are doing. It’s different for everyone, but what I know for sure is, it takes authenticity and courage. As I often say, just start today by being open to it – that is the first step. Don’t have a strategy or a plan for this – just be open to it then the next step will be revealed. Let me mention the topic of separation really quick. The first time we separate ourselves from God (“He is there and I am here”, “He is Good and I am bad” etc) instead of thinking that we are one (God created me and is in Me and works through me) then our relationship is automatically strained. See, separation in any form is what begins to break our relationships – whether it’s with God, our spouse, our kids, other races, other ‘different’ people etc. When we separate that is the beginning of the path of disharmony and disconnection. So when we separate our ‘faith’ from our roles and platforms it puts a strain and disharmony on it. So the solution is connection, not separation. When your marriage is in trouble, the answer is not separation, it is connection. The answer to most disharmony will always be authentic connection. But like anything, it takes courage because it can be uncomfortable! But the first step is easy, just open yourself up to it and pray (a lot). What I have learned is that our businesses are awesome platforms for our faith/heart/spirit to be delivered to the world IF you are willing. I know that I wouldn’t have it any other way! If you are are willing to explore this subject then challenge yourself over 7 days – integrate your faith into your role/platform/business in NEW ways – because you never know if it will be the ONE thing that will change EVERYTHING. 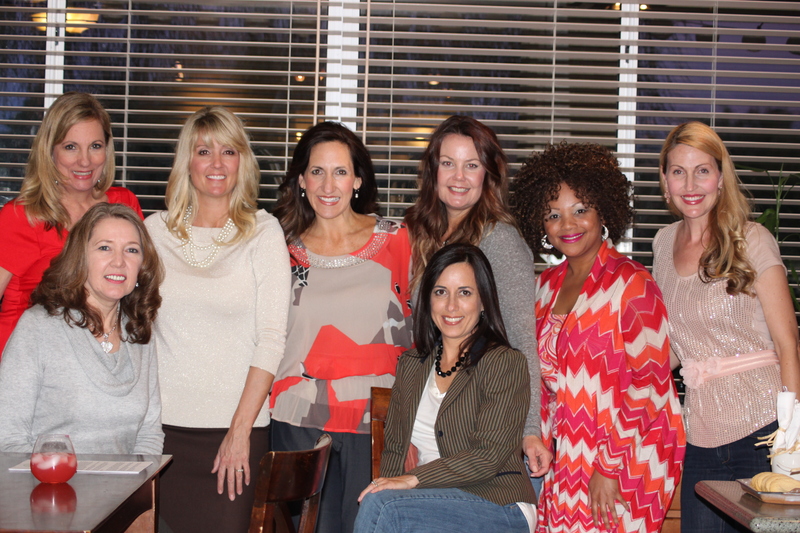 When I started to integrate my faith and my business I started attracting amazing, Godly, powerful women in my life – these are just a few of them in my kitchen for a Sisters girls night! I can’t tell you the AMAZING work these 8 women are creating in the world from their own journey of faith/business integration.